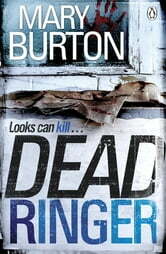 Dead Ringer is the latest crime novel from Mary Burton, America's Queen of Crime. Fans of Tess Gerritsen, Kathy Reichs, and Karin Slaughter will love Mary Burton's Dead Ringer. Much like The Seventh Victim and Before She Dies, Dead Ringer will have its readers in horrified suspense. God read!MB always writes a good book and makes sure that it is a page turner This book is part of a series but can stand alone. Oh my what an absolute page turner. I loved this book so much. Full of twists you don't see coming. This author has a way of making you feel like your in the story.